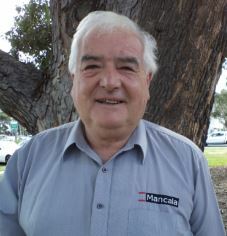 Martin is a professional mining executive with over 43 years’ experience. Prior to co-founding Mancala in 1990 Martin held senior roles within the drilling division of Ingersoll Rand and as General Manager for the civil construction firm IMM Industries, Victoria. Since Mancala’s inception, Martin has led the Groups finance and operational arms from site based project manager or supervisor roles to leading the Executive and administrative team at head office. Martins hands on approach and practicable problem solving abilities combined with technical and commercial skills has led to his long-term appointment as CEO of the Group. The role of the Mancala Board of Directors is to ensure enduring value is created by improving the company's performance through strategic planning and policy making. Bill is a professional mining executive with over 40 years experience. 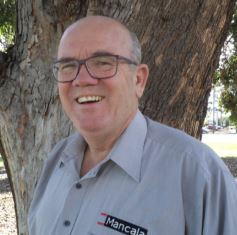 Bill co- founded Mancala in 1990 after working with Aberfoyle Limited in NSW and Tasmania in mine management roles. 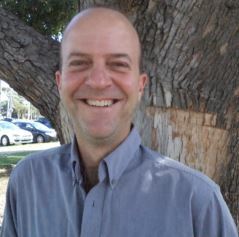 Bill has led innovation and product development within the Group. He is directly responsible for many now common facets of modern mining operations. Technical services within the Group has also been Bill’s responsibility since its inception. Over the Groups history, Bill has developed an intimate knowledge of all aspects and scale of hard and soft rock mining from narrow vein, hand held to block cave operations. Complementing Bills technical proficiency, are leadership skills which has seen him take a dominant role in setting the Groups HR and IR strategies. 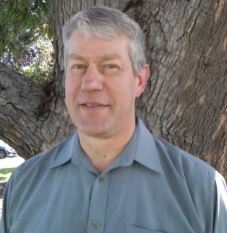 Tim is a qualified mine geologist with over 30 years of diverse technical and commercial industry experience. Following graduation, Tim held senior positions within Aberfoyle Limited as a site based underground geologist and Technical Services Manager. Joining Mancala in 1991, Tim has enjoyed many and varied roles within the group ranging from hand held mining activities, project management, tendering and contract management to Executive Management roles. Using both his technical skills and commercial acumen Tim has managed the growth of Alliance contracting within Australia where by the Group shares the risk and reward of a mining projects technical and commercial outcome. In Recent years, Tim has been heavily involved in the establishment of an offshore mining division within the Group. Mike Botting is a mining engineer with over 30-years experience having commenced his career as a graduate engineer with WMC Resources Kambalda mine in 1985. Following Mike’s underground time at Kambalda, he has progressed to Mining Engineer, Mine Manager, Contractor Project Manager, Contractor Operations Manager, Resident Manager, Mining Consultant, CEO of a small gold mining company, Non-Executive Director of publicly listed Mining Companies and Non-Executive Chairman before taking on his current role as Chief Operating Officer for the Mancala Group in July 2012. 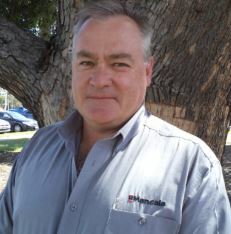 Dean has over 32 years’ experience in the mining industry. 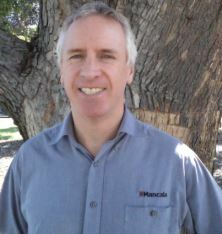 Commencing with Mancala in 2009 as a Project Manager he has worked on numerous projects throughout Australia. In 2012 he was appointed to the position of Divisional Manager for Specialised Mining Services. Dean commenced his career as a locomotive operator and later becoming an air leg miner at the Hillgrove and Rockvale Mines near Armidale NSW. After relocating to Gympie, Queensland he continued his career as an air leg miner, shift boss, human resources development officer and mine foreman at Gympie Eldorado. Dean has played key role in developing the Specialised Mining Division completing a diverse range of projects including mine rehabilitation; tourist/historic mine refurbishment; domestic cellar construction; ladderway installation; operating underground power station rehabilitation; shaft rehabilitation; roadway embankment stabilisation; mechanised and hand held mine development and tunnelling using a non-explosive methods. Diego is a mining engineer graduate from the School of Mines at Michigan Technological University. He began his career at Mount Isa Mines, where he undertook the rigorous 5 year “graduate programme” at the Lead Mine. He then undertook Senior Planning roles for a three year term with Zambia Consolidated Copper Mines and a further four year term with Compania Minera de Bolivia – COMIBOL, as part of the Rio Tinto management period. 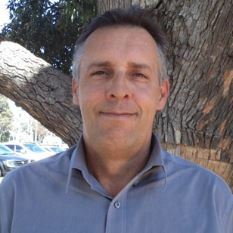 He undertook further planning roles back in Australia where he joined McArthur River Mining during its early stages and was integral to mine planning between 1996 and 2004; and then at the Beaconsfield Gold mine between 2004 and 2007. Diego has used his vast mine planning and design experience in his current role as Technical Services Manager with the Mancala Group since 2007, where he has been responsible for the preparation of project bids, project management plans and project execution plans, taking many important projects from inception through to completion. Collin joined the Mancala Group in 2014 as Group Senior Safety Advisor. He brings over 28 years’ of hands on and administrative experience to his role. Collin commenced his career as an apprentice motor mechanic before embarking on his mining career as a process plant operator at the Olympic Dan Mine in South Australia. He continued his career by transitioning through various rolls within the emergency response field and then into the Occupational Health, Safety and Environment (OHSE). Collin is incredibly passionate about working safely and in the well-being of all personnel. His passion is driven by having a thorough understanding of both Federal and State legislative regulations which govern Occupational Health, Safety and Environment across Australia and Internationally. The time spent in ‘hands-on’ roles over several years has been the driving factor in Colin developing and maintaining Mancala’s a high standard OHSE capability across multiple sectors within the mining and construction industry. Collin joined the Mancala Group in 2014 as Group Senior Safety Advisor. He brings over 28 years’ of hands on and administrative on experience to his role.